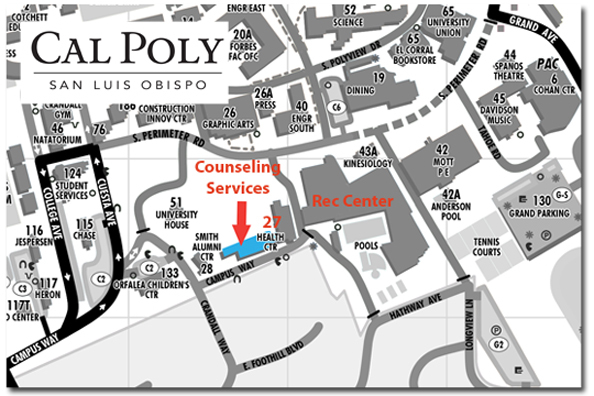 We are located within Campus Health & Wellbeing (Building 27) next to the Rec Center. Enter the building through the Health Center main entrance and follow the signs to Counseling Services, Room 135. Note that parking is not always available immediately near Building 27. Please check campus parking maps for current availability. Counseling Services is not responsible for any parking ticket you receive for incorrect parking.